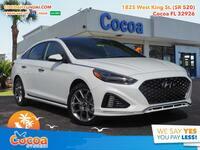 While vehicles like the Ioniq Hybrid and Kona have been dominating Hyundai news in recent memory, the Hyundai Sonata remains as the one vehicle that has been around for decades. The Elantra has been around nearly as long, and the Accent not far behind it, but the Hyundai Sonata has been around since the mid ‘80s. 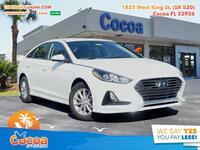 Back then and even more so today, the Sonata makes an excellent option in the midsize sedan segment. Now in its 7th generation, the Sonata received a facelift this year to offer an even more modern, sophisticated, and excellent option in its segment. 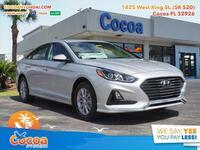 But the midsize sedan segment is a steep one, perhaps the deepest segment on the market. While longevity speaks to its reliability, exactly how well does it measure up to other vehicles in the segment? 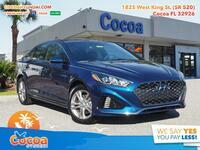 We thought we’d find out by comparing the 2018 Hyundai Sonata vs 2018 Kia Optima. 16.3 cu. ft. Cargo Capacity 15.9 cu. ft.
You can look at the table above to see just how similar these two midsize sedans are to one another. Power, efficiency and space are three of the most important aspects to consider when shopping for any vehicle, and those are the areas we’ve analyzed here. But as you can see, the Sonata and Optima are evenly matched in both horsepower and combined fuel efficiency. The even offer seating for the same amount of people. The one area that the Sonata does topple the Optima is in terms of cargo capacity, but even there it’s by only 0.4 cubic feet of space. So, what exactly sets these two vehicles apart? In our opinion, the Sonata offers a much more sophisticated aesthetic, and it’s packed with outstanding features in areas like convenience, comfort, safety, entertainment and more. 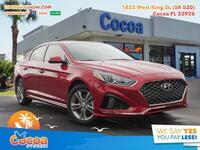 Come in and test drive one for yourself to truly get an idea of just what the 2018 Hyundai Sonata has to offer!